I got back late Monday and although it's been non-stop around here since, it's always nice to be home and part of the daily churn with the kids and family. I'm quite a homebody at heart. In the four days since I've been back, I've caught up on work, biked, swam twice, hit the gym, and had a trail running "meeting" with Coach Jim! There's been a flurry of post-Nationals team activity (Endurance Films Racing Team), talking about new gear, sharing photos, and recounting events of the weekend. 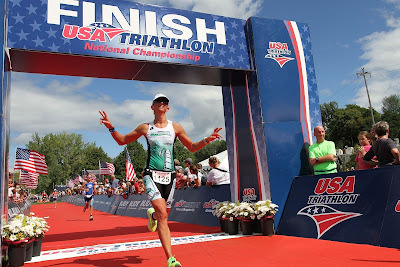 The professional race photos came out (that was fast) and I spent the small fortune to get them. They really do a heck of a job. I put a few on my blog's photo link, but will include my favorite here. I don't know where these recent goofy finish line poses have been coming from, but I think it's clear I have fun out there. We've already had to commit to our spot for London 2013, which meant I had to choose between Sprint and Olympic distances. 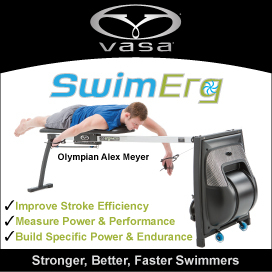 While my best placings have been at the sprint distance, everything in me says go Olympic. 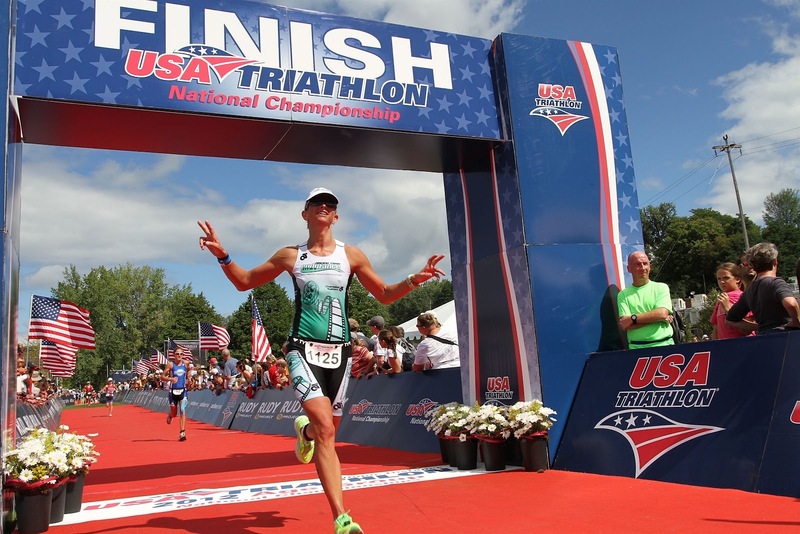 Despite placings at Nationals (11th Oly, 3rd Sprint - which are only an artifact of who shows up to race), Coach Jim showed how I actually had a better race at the Olympic distance in Burlington. And if I'm going all the way to London, I want to be out on the longer course, to soak it all up! I have a fun story related to London. My favorite author/triathlete Andy Holgate (Can't Swim, Can't Ride, Can't Run: From Common Man to Ironman is from northwest England. I've been following him online for some time and we exchange comments and follow one another's training and racing. He's a librarian, husband, dad, and age-grouper just like most of us, but with a true gift for writing (and predilection for odd and humorous things befalling him!). When I found out about making Team USA for London, I thought of Andy, and immediately wanted to post a big "ANDY!! The family is coming your way, let's meet up!!" But online things like that can easily appear sorta creepy. As it turns out, he beat me to it, suggesting the same, perhaps arranging a trip to London for business and then to watch the race. By then his second book, a sequel, will be out and flying off the shelves (so read that first book now!). Of course, September 2013 is a long ways away, but I'll need that year just to learn the language (they say things like "knackered" over there). I appreciated the nice mention in his IronHolgs blog post too!! Other things of the week...I broke down and ordered new bike shoes (another small fortune...sigh), identical to what I have. Despite repeated scrubbings and sun-baking, my four-year-old shoes that I largely use barefoot, well....let's just say taking them could be bad for US-New Zealand relations. I'm also breaking out the backup pair of yellow running shoes! 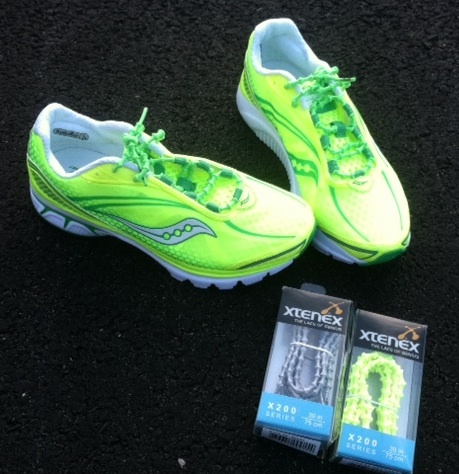 I ordered another pair of my favorite neon green stretchy Xtenex laces to go with them. There was some sort of snafu with my web order and the owner's wife called me. We got to talking, and I told her how I've probably bought 24 pairs of them and how the whole family uses them, and she sent me two extra pairs in neon yellow and silver! Awesome!! Seriously, these are THE best triathlon/running/hurry-the-kids-up shoelaces ever. Not that I couldn't go on and on about shoes more.....but I shall stop.